Residential cleaning: Daily / Weekly / Bi-Weekly / Monthly. Home sales, move-in and new construction cleaning. Commercial and professional office cleaning. Seasonal Spring cleaning & special occasions. Magic Clean Whistler has an outstanding reputation built over 15 years in Whistler, Pemberton and Squamish. We back that reputation with our “Magic Clean” Guarantee. Magic Clean Services will clean your home or office to your high expectations, guaranteed. 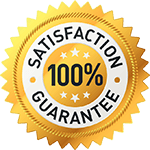 If you are not satisfied with our cleaning work, we will make it right, or your money back. Magic Clean is proud to announce the newest addition to our cleaning arsenal: a new floor machine that strips, polishes, waxes, finishes, buffs and burnishes all types of floors. The TASKI ergodisc 300 high-speed single disc machine is a specialized spray cleaning and carpet shampooing machine that combines ergonomics, safety, simplicity and versatility. It is adaptable to a wide variety of cleaning tasks and features micro filtration for improved air quality. Kitchen; all counters and appliances thoroughly cleaned including inside fridge, microwave and oven. Dishwasher emptied. Garbage and recycling removed. Dusting of all furniture throughout property and polishing of mirrors. Mopping wood and tiled floors. Option to make and/or change bed linens. Changing bed linen and towels and sending to professional laundry service. Checking all draws for possible items left by previous guests. Emptying fridge of perishable or all items, organizing the inside of the cupboards so presentable to new guests arriving. Displaying towels in a professional way and leaving sufficient supplies for the gusts stay. Arranging furniture and other items so organized and tidy for new guests. Kitchen; Emptying and cleaning inside of cupboards and fridge. Thorough clean of all appliances, including oven, microwave and dishwasher. Pulling fridge and oven out and cleaning behind. Removing marks on walls and wall tiles. Mopping floor tiles. Bathrooms; Scrubbing bath tubs, showers, sinks, toilets, and wall tiles. Polishing glass and faucets. Wiping baseboards and walls down. Emptying and cleaning inside and outside of bathroom cupboards. Dusting of high features and fixtures such as lights. Wiping down all baseboards and removing marks from the walls and light switches. Cleaning inside windows reachable with step ladder. Kitchen; Cleaning inside of cupboards and fridge. Thorough clean of all appliances, including oven, microwave and dishwasher. Pulling fridge and oven out and cleaning behind. Removing marks on walls and wall tiles. Mopping floor tiles. Bathrooms; Scrubbing bath tubs, showers, sinks, toilets, and wall tiles. Polishing glass and faucets. Wiping baseboards and walls down. Cleaning inside and outside of bathroom cupboards. Dusting of high features such as fixtures, fans and lights, In addition to wiping down all furniture to baseboards.